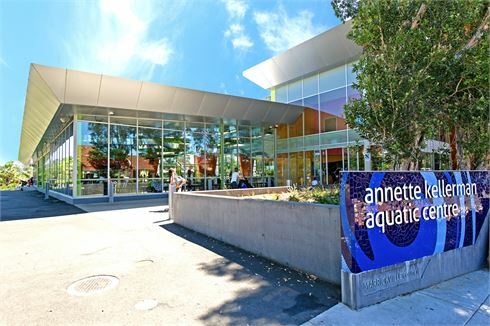 Annette Kellerman Aquatic Leisure Centre is made up of a Health Club and indoor swimming pool facility in Marrickville and is situated in beautiful Enmore Park. Our fully equipped facility is staffed by a team of exercise, aquatics and customer service professionals committed providing our members and guests with quality service and support. Proudly managed by Belgravia Leisure on behalf of Inner West Council. A reminder also that there will be no public space in the program pool on a saturday morning between 8:00am-1:00pm. For Inidividual Departments during this time click here. As we enter Summer part of our commitment to the community is to provide swimming as a life skill and many of the local school's engage us for school swimming programs. Follow this link to check out bookings. Have you been in to see our Centre? Watch the video below to take a virtual look at what the centre has to offer. Children (under 15 years) are not allowed entry unless under active supervision of a person 16 years or older. ID will be required for entry. From the 19- 24 February Experience everything the centre has to offer.